These days it seems like every movie studio is looking to find their next franchise film series. Disney has Marvel, Star Wars, Pixar, and their live-action remakes of beloved animated films. Warner Bros. is not too far behind with the DC Extended Universe, the soon to launch Fantastic Beasts saga, Kong: Skull Island - and the sequels/spin-offs that spawns. Of course, Universal (Fast & Furious, Illumiation, etc.) and 20th Century Fox (X-Men) have their own lucrative franchises. But another major studio, Paramount, seems to be lagging just a bit behind. In 2016 to date, Paramount Pictures only has one film, Star Trek Beyond, that has grossed over $100 million domestically. The stuido's other franchise films, like Teenage Mutant Ninja Turtles: Out of the Shadows and the Jack Reacher sequel, did not seem to click with audiences. The studio's executives surely expect their luck to change in the next few years, as a whole new set of Transformers movies are released, the Mission: Impossible series is continued, and the next Cloverfield anthology film, God Particle, hits theaters. But now, the studio has secured the rights to another franchise property that has a history going back nearly ninety years (yea, nine-zero). Deadline is reporting that Paramount has secured the film rights to The Green Hornet, and that The Accountant director, Gavin O'Connor, is set to direct the reboot. The Green Hornet, which was adapted into the 2011 Seth Rogen-starring film of the same name, originated with a 1930s radio series, and has since been adapted to film serials, a 1960s television series, comics, and the aforementioned Seth Rogen vehicle. Gavin O'Connor's passion for the project is evident, and this could be the beginning of an epic film franchise, catapulting The Green Hornet's popularity to the levels of other heroes who began over half a century ago. It certainly sounds like the director has a great idea where he wants to go with the property, and it is hard not to get excited about the prospects of a Batman/Jason Bourne/Chris Kyle hybrid-character. While O'Connor's most recent film, the Ben Affleck-starring The Accountant (which has elements of a superhero movie, itself), received mixed reviews for its mix of action and thought-provoking message, it was clear that the director knows his way around an action flick. The director's particular brand and style could be something many current fans of the Green Hornet character can get behind. 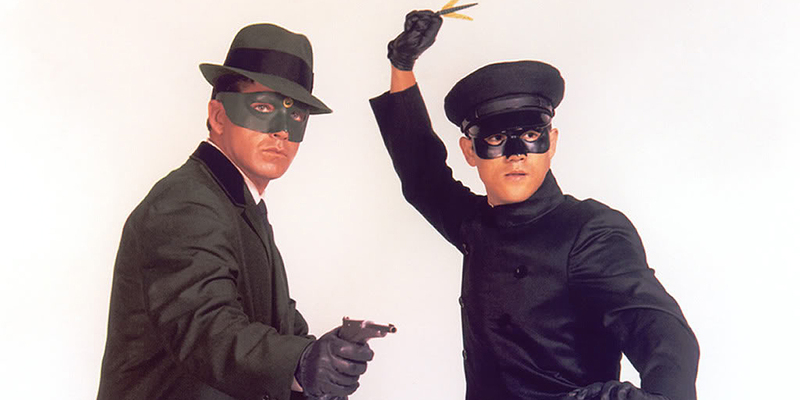 Screen Rant will keep you updated with any and all news regarding The Green Hornet as it develops.